Started in 2016, Sky High Slots Casino has started off great with a hoard of electrifying online slots and games that are offered on an entirely instant play interface. The Casino is owned by Cassava Enterprises Limited Casinos and is licensed by the UK Gambling Commission and Gibraltar Regulatory Authority. Sky High Slots Casino offers a smooth playing experience across the different platforms that players can enjoy the Casino. 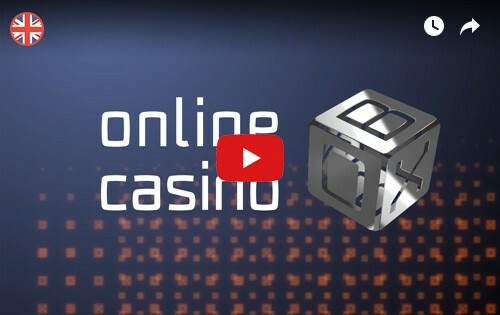 The Casino has numerous game offerings, supports mobile gaming, and is SSL encrypted. Indifferent to other Casino’s Sky High Slots Casino features a number of alluring bonuses and promotions for both new players and existing ones. The welcome bonus package features 100% bonus match up to $50. The player also gets a 100 free spins which are awarded in bits- 10 after the initial deposit and 3 for each day of the first month. 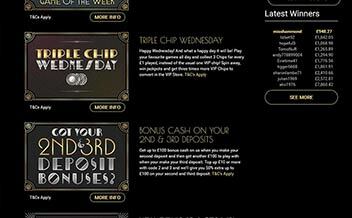 The Casino also has a few promotions for existing players that include free gaming chips and deposit bonuses. The Casino has a great selection of progressive jackpot games which are designed to offers players an opportunity to rack in big from a small stake. Some of the games include Wonder Woman and A Nightmare on Elm Street. 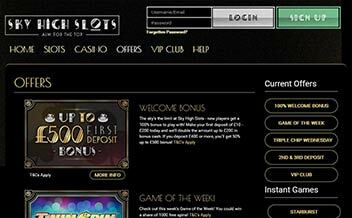 Sky High Slots Casino has one of the most diverse collections of slot games in the modern day online Casinos market. Some of the games include Twin Spin, Wolf Run, Golden Goddess, Gonzo’s Quest, and various others. Through the partnership with software development powerhouses NetEnt and IGT, the Casino has one of the most diverse selections of table games. Some of the games in the section include Blackjack variants, Roulette variants, Baccarat variants, and various others. Sky High Casino also has a Live Dealer section that features amazing game offerings that are hosted by croupiers in real time. Players can enjoy these thrilling games while looking to win big. Some of the games include Live Roulette, Live Baccarat, Live Blackjack, and various others. Powered by some of the best software developers, the Casino’s software offers players with a smooth playing experience which is complemented by a diverse collection of thrilling slots and games. The software developers include NetEnt, Cryptologic, IGT, Random Logic, Williams Interactive, and 888 Gaming. The United States, Turkey, Romania, Spain, Italy, South Africa, Ukraine, Russia, Denmark, France, Hungary, Israel, Bulgaria, Malaysia, Belgium, Belarus, and various others. Maestro, Visa Electron, Master Card, PayPal, Visa, Paysafe Card, Wire Transfer, Pay by Phone, Entropay, and various others. Sky High Slots Casino is available on instant play and mobile devices which renders it possible for players to seamlessly enjoy their favorite games from the comfort of their home as well as while on the move. The Casino also runs on major web browsers such as Internet Explorer, Chrome, and Mozilla. 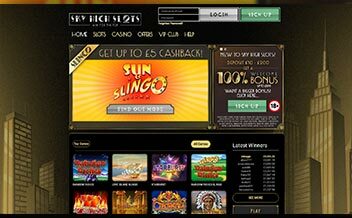 Sky High Slots Casino features an entirely instant play Casino which is complemented by a range of diverse game offerings. 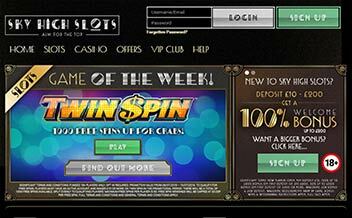 The Casino also offers bonuses and promotions as well as solid customer support.